About Us | Creative Kitchens & Baths Plus Inc.
Creative Kitchens & Baths Plus is your source of kitchen cabinets, vanity cabinets, and closet cabinets. The biggest investment that we all make in our lives is our homes. Families spend a majority of their time in their kitchen. The kitchen is the heart of the home. Creative Kitchens & Baths Plus understands the desire to have a quality kitchen and thus, an astonishing home. Kitchen remodeling, bathroom remodeling, and closet organization adds value to your home and allows your family to enjoy and take comfort in your investment. Creative Kitchens & Baths Plus is an authorized dealer for several different cabinet manufacturers. We sell cabinets that are Made in the USA. We also sell cabinets from China and other imports. We understand that import cabinets have their place in the market. However, we also feel that American, high quality cabinet craftsmanship, should be available at a competitive price. The difference with Creative Kitchens & Baths Plus is that although we offer imported cabinets, we want you to be educated about the different choices that we have to offer. By offering domestically built and imported cabinets to our customers, we allow you to have the choice in picking a cabinet that best fits your family and budget. Whether it is a starter home, or your dream home that you are looking to remodel, having numerous options available to you is what we are all about. All of our kitchen cabinets (including the import cabinets) and vanity cabinets are made from all Plywood construction and come factory assembled. No Assembly Required! These are the same cabinets that a custom cabinet shop will sell you. Creative Kitchens & Baths Plus is able to offer high-quality cabinets at an affordable price. We understand that kitchen cabinet remodeling can be a difficult process. That is why we have developed The Design Service to help with all your kitchen cabinet design needs. Our trained kitchen designers will design your new kitchen on the latest remodeling software, 20/20 Technologies, and provide you with in-depth perspectives on your new cabinets to allow you to visualize your dream kitchen. Creative Kitchens & Baths Plus is an authorized dealer of cabinetry. 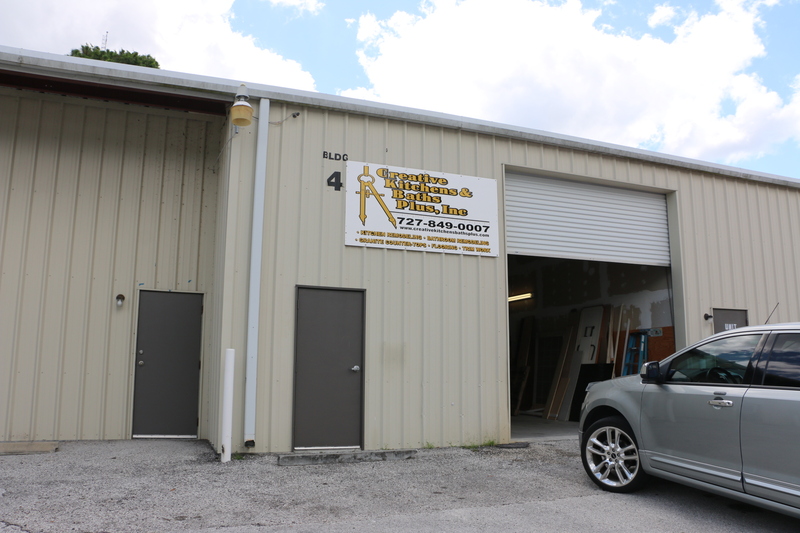 We are located in Port Richey, Florida and has been doing business in Florida since 2003. Creative Kitchens & Baths Plus seeks to broaden the spectrum of possibilities that is offered to our customers. We are dedicated to supplying our customers with the correct cabinets for all their remodeling needs. With 25 years of experience in the cabinet and construction field, we are positive that we can provide you with the best advice, design service and a cabinet to fit your budget. Whether it’s kitchen cabinets, vanity cabinets, or closet cabinets Creative Kitchens & Baths Plus, will make your remodel experience a joy!